However, overall giving to the state was down by $15 million. This decline is slightly skewed by reporting methods, which capture the total amount of multi-year gifts in the year of their award. Additionally, nine funders located outside of Alaska significantly decreased their giving to the state. 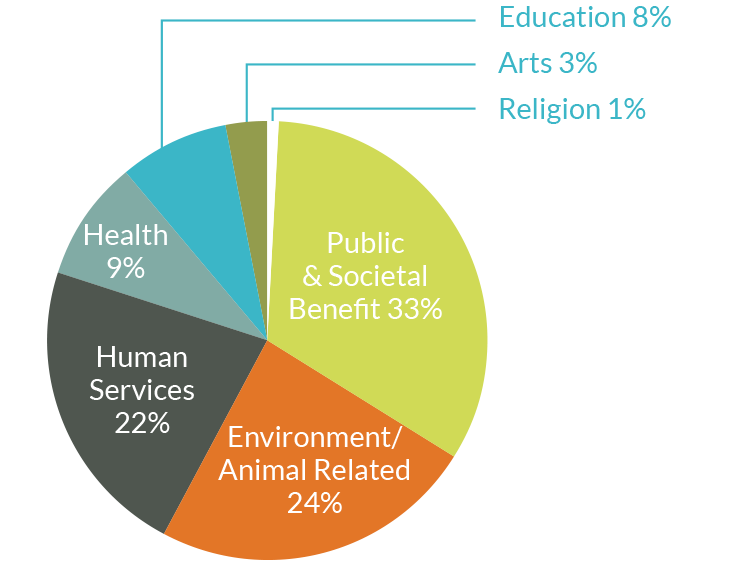 Public benefit organizations received more than $40 million in grants in 2012. The largest grant in the category was also the largest overall grant to the state—$11.9 million to the Alaska Village Electric Cooperative, a nonprofit utility, by The Denali Commission. In total, the Alaska Village Electric Cooperative received 28% ($15.8 million) of all funds to the public benefit category. Grants allocated to renewable and clean energy, energy assistance and energy education or advocacy efforts composed 20% (nearly $25 million) of all grantmaking to the state.